Teacher Appreciation Week is almost over! And I have a free download that our sponsor, Lectura para niños, wants to give you. You may remember that Lectura para niño's creator, Leah, is a teacher herself, so she knows how valuable teachers are to our children. 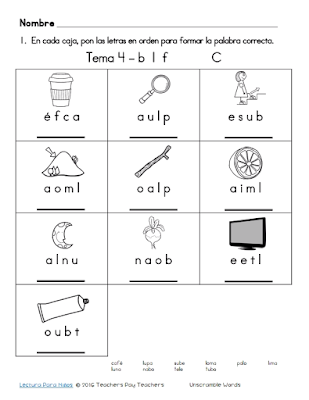 If you are a professional educator, homeschool parent, librarian, or simply a parent who loves to get involved in your child's education, and you have a child/student who is learning to read and write in Spanish, then this freebie is for you! 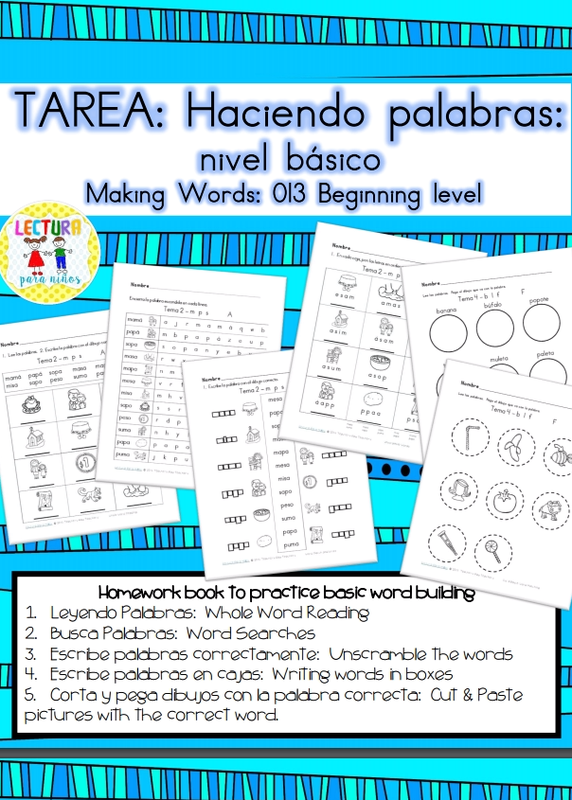 Haciendo palabras is a beginning level set of worksheets to help children begin writing words. This sample packet contains six activity pages. This homework book has 5 parts. In each mini book, there are 1-2 pages of homework for each theme you are working with. 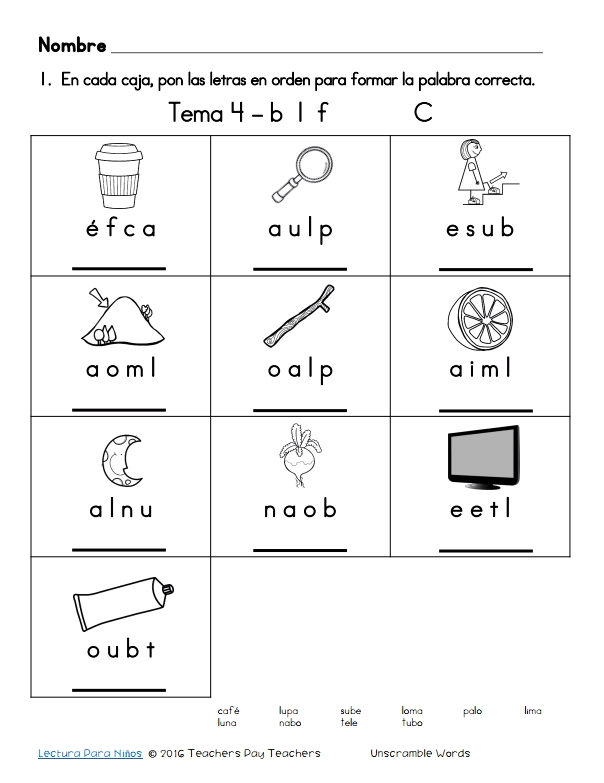 If you are working in Theme 2, you will be working with words containing the letters m, p, s and the vowels. After working for at least a week with in any theme, you can send home pages from each of the following pages. 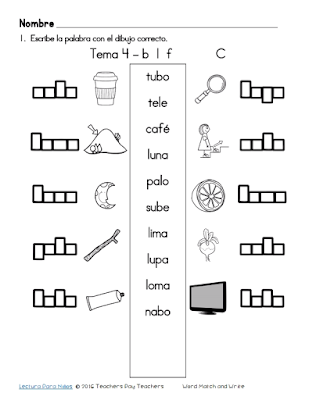 Leyendo Palabras: Whole word reading (32 pages) The student reads the words in the box above and writes the word below the corresponding picture. Busca Palabras: Word Searches (32 pages) Find the hidden words from each theme. 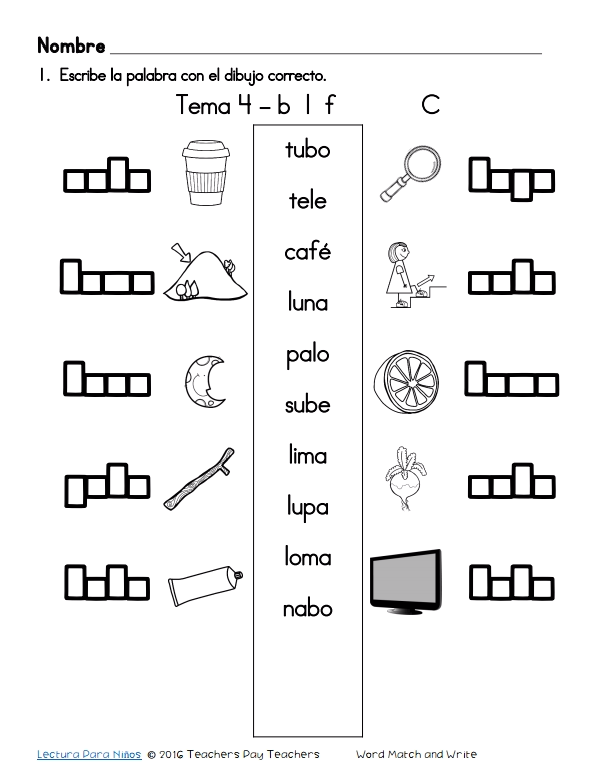 Escribe palabras correctamente: Unscramble the words (32 pages) Unscramble the words from each theme.